At her blog, Death by Committee, Carole reviews classic mysteries. See if you agree with her views and leave a comment. Carole’s Amazon page has links to all her books (including the non-fiction Voices of Hope) and to the Kindle editions and audiobooks of her mysteries, as well as to recent blog posts and upcoming events. Carole also does talks and workshops at libraries and schools. Visit her Connecticut Library Consortium page to read about what she offers. 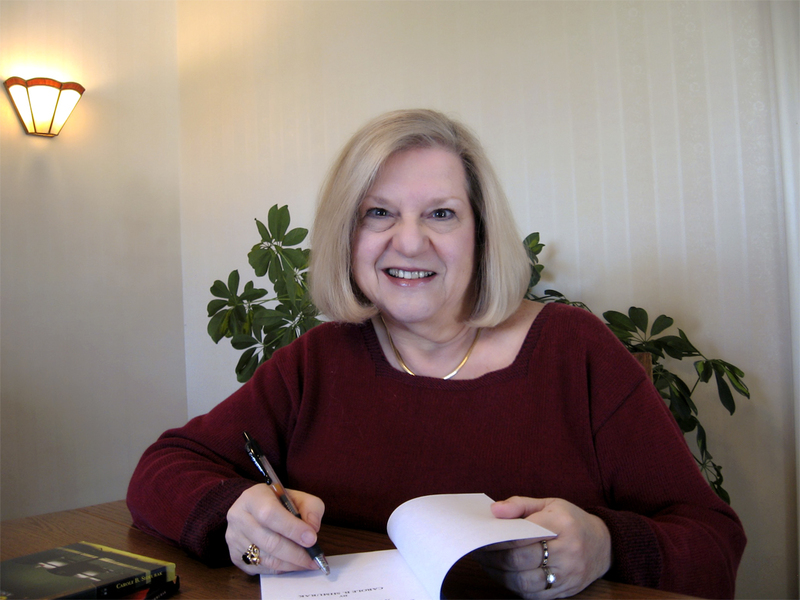 Carole is a member of Sisters in Crime, the national organization for mystery writers, and also Sisters in Crime New England. At the SinCNE website, you can read more about her books and the books of other New England mystery writers. Author Shout is a website that links authors and readers. Koobug is a place to read authors’ blogs, learn about their books and interact with them. With Thomas Ratliff, Carole writes the Matty Trescott Young Adult historical novels under the pseudonym Carroll Thomas. Visit their website to read more about these books. And visit the Carroll Thomas Amazon page for links to buy the Matty Trescott books. At Stories that Matter, Carole discusses the Matty Trescott series. At One Woman Crime Wave, Carole discusses the true stories behind her books. At Kingdom Books, Carole describes the history of professors as fictional detectives. At Deeds of Darkness, Deeds of Light, Carole discusses how classic mysteries have affected her life and her writing. At Killer Crafts and Crafty Killers, Carole reveals her character Swash’s special recipe for cioppino. At The Inside Look, Carole discusses Susan Lombardi’s best friend, Elaine.